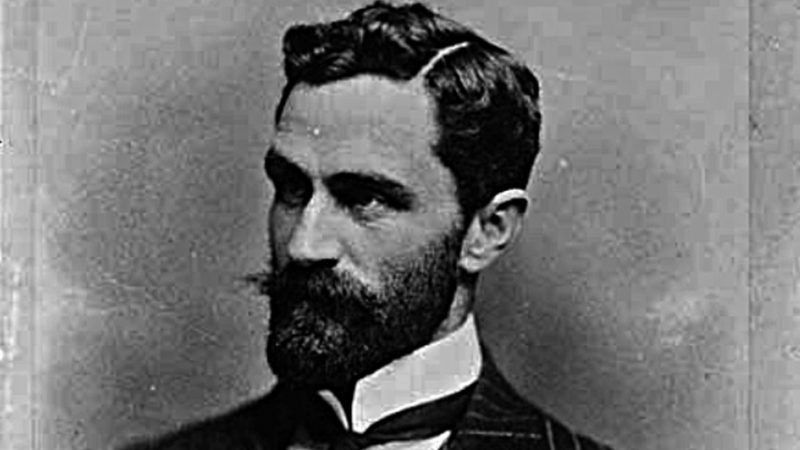 On the third of August 1916—100 years ago today—Roger Casement was executed for high treason in Pentonville Prison. He was the last knight of the realm to befall such a fate in the United Kingdom. Casement had been a leader of the 1916 rebellion in Ireland, and while his earlier capture meant that he had been absent from the fighting in Dublin during Easter week, his collusion with the Germans, in an attempt to procure arms for the uprising, had been enough to seal his fate. Given the circumstances of his death, Casement’s revolutionary nationalism often overshadows his arguably greater contribution as a human rights and anti-slavery activist. As British Consul in Congo, Casement had been a pivotal figure in exposing King Leopold’s genocidal exploitation of the peoples of the Congo in pursuit of rubber and ivory. Under Leopold, William Sheppard, a black American missionary, documented how a chief had shown him 81 severed hands which he was taking to a state official to prove that they had punished villagers who had not complied with demands that they collect rubber. That was by no means the worst of the depredations brought by Leopold’s reign in the Congo. But as a result of work by Casement, Sheppard and others, such as the extraordinary British journalist Edmund Morel, sufficient international pressure was finally brought to bear on Leopold and Belgium to end the atrocities. Later, at the behest of the Anti-Slavery Society, as Anti-Slavery International was then known, Casement undertook investigations in the Putamayo region of the Amazon, to expose similar sorts of slavery in the rubber plantations of the Peruvian Amazon Company, which had been registered in Britain in 1908 and had a British board of directors and numerous British stockholders. Casement’s years investigating human rights abuses in Africa and South America let him to a become a committed anti-imperialist. Consequently, following his retirement from the Foreign Service, he became heavily involved in the growing efforts towards the independence of his native Ireland. As these efforts were increasingly met with the threat of violence by anti-democratic elements in both Ireland and the British Establishment Casement became involved in the Irish Volunteers, a militia founded to guarantee Irish Home Rule. With the coming of the First World War much of the Volunteer movement was induced to join the British Army with the promise of Home Rule after the war. Casement was deeply sceptical of such promises and, along with the clandestine movement, the Irish Republican Brotherhood, began to contemplate revolution as the only way to obtain Irish independence. His speech was a considerable influence on the young Jawaharlal Nehru, the future Prime Minister of India, and many other anti-imperialists of the early twentieth century. While the urgency of the anti-imperial struggle may have diminished, Casement’s human rights work resonates still. In spite of the efforts of Casement and many like him millions of people are still enslaved across the world, just as they were in Casement’s day. Many of them are subject still to the same sorts of brutal violence Casement exposed in Africa and South America. Even in Nehru’s India, the world’s largest democracy, the severing of the hands of Dalits is still a sanction used to compel forced labour. So, at the centenary of Casement’s death the lesson of his life remains a vital one: when the status quo is injustice, the right thing to be is a rebel.